The South African division of an international professional services firm with well over 4 000 SIMS. Why did this company need Telecoms Expense Management? This company had no visibility into what was happening in its telecoms environment. They received enormous bills at the end of the month because they had no way of tracking what was happening in their telecoms environment and no pre-emptive warnings to help them manage usage and reduce costs. 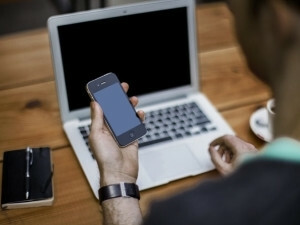 With a large portion working remotely at their clients' offices, employees are often limited from a connectivity perspective. As such, many of them struggle to get their jobs done because they're worried about the amount of data they are using to connect to business applications. * Implementation of financial optimisation initiatives. * Enabling mobile workers to do their work efficiently from any location. So, how did Nebula help? Using OneView, Nebula's telecoms expense and lifecycle management system, this company was able to transform their telecoms environment; boosting visibility and employee productivity, reigning in expenses and usage and automating processes. OneView empowered this client by enabling them to streamline their entire telecoms infrastructure, which in turn, freed up company resources and reduced costs. The problem: Anyone working in a professional services firm will know that much of the workforce is based outside the office. These remote consultants who work from customers' offices may not have access to their company networks. This makes it essential for them to have all the tools they need to get their work done. The solution: Matching each employee with a mobile package that meets their requirements and giving them access to all the hardware and software they require to get their job done, dramatically boosted productivity. Businesses often assume that using less data, issuing less SIMs and curbing the use of certain platforms and apps is the way to cut costs. But in this case, and in many other cases, by optimising and better managing the client's mobile environment to suit their needs, they were actually using more data, across more SIMs but were doing so more strategically, and, thus, spending less money. The problem: In the past, when the client needed to do a SIM swap, retrieve a PUK code, lock a SIM or load a new bundle for an employee, they had to endure a rather lengthy process. The user would go to IT or their business unit administrator and submit their request. IT would then send an e-mail to the service provider. Once they've received the request, the request is added to their queuing system, which can take a couple of hours. The solution: Using OneView, SIM Swop turnaround time is reduced from 3 hours to 30 minutes, and SIM Locks and PIN/PUK requests from 50 minutes to two. By streamlining these processes our client has spent 63% less time on the same tasks they were previously performing manually. Now, when a user approaches IT, the request can be performed automatically using OneView. The problem: Often, employees are given all the tools and resources they need to work from anywhere but they're worried about accidentally overspending. While some business owners may encourage employees to exhibit this level of caution, it actually hampers their productivity. The solution: With increased visibility via OneView, employees are no longer afraid of performing certain tasks. One of the benefits of a system like OneView is that users are warned when their bundles are running low and business unit administrators are also notified. This is especially important when employees are working remotely. It's easy for the business unit administrator to pick up high usage trends and identify depleted bundles. The administrator can then easily load another bundle for the employee through OneView to prevent out of bundle costs. Users are also sent a User Spend Report so they can see their usage trends and have some idea of what they are costing the firm. Often users don't know how data intense certain apps and platforms are, with OneView notifications, they are constantly updated about how much data they're using. The problem: Employees who travel regularly often inadvertently overspend because they aren't aware of the inflated data charges in the country they're visiting. For example, one top-level business executive of this company recently travelled to a foreign country and the airline lost their luggage. Having to make various calls to sort out the issue, they were concerned that this international usage would end up costing a great deal of money. When you consider that roaming rates in some countries are as high as R171 per mg, it's easy to overspend when on an international business trip. The solution: With OneView, it is easier for everyone - from regular employees to business execs - to keep tabs on their use. This curbs accidental overspending and bill shock. The Nebula team also negotiates with service providers to activate more affordable roaming services for users that travel regularly. Better management of their telecoms environment made it easier to cut costs, better control operations and identify irregularities. In partnership with Nebula, the client achieved a lower overall out of bundle 3G data cost. While they may have used more data - an increase in bundles from 10% in 2015 to 31% in 2016 - their costs were reduced because out-of-bundle rates were no longer incurred. A 10% increase in SIM alignment meant that employees were better suited to their mobile packages. If you want to enable your enterprises telecoms success, simply contact Nebula here.